UPSC Recruitment 2015: Union Public Service Commission (UPSC) has been established by the Government of India under Article 315. The important role of UPSC is to fill the vacancy posts all over India by conducting the Competitive Exam and also through interview. Every Year The Union Public Service Commission has been conducting the UPSC Exam for departments such as Civil Services (IAS), Combined Defense Service (CDS), Combined Medical Service (CMS), Indian Engineering Service (IES), National Defense Academy (NDA), Indian Forest Service (IFS) & Combined Geo Scientist & Geologist. 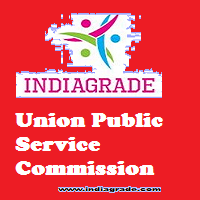 Union Public Service Commission (UPSC) is going to conduct the Competitive Examination 2015 all over India and UPSC is the major Government recruitment board in India. The UPSC Board has been conducting the exam based on the qualification of the candidates like Engineers, 12th class, graduate level. UPSC has already published the clear advertisement for Calender 2015 for all examination. Union Public Service Commission is going to conduct the UPSC IAS Exam 2015 for all candidates who applied for the Civil Services examination. This is one of the tough competitive exam in India and there are large number candidates applied for this exam 2015. For more details about the UPSC IAS Civil Service exam, download the PDF file and the link is given below. Age Limit:- 21 to 30 Years on 1st August 2015. UPSC NDA Exam 2015 has been organizing by the Union Public Service Commission twice a year as NDA 1 and NDA 2. After the completion of the written exam, the selected candidates should appear for the interview. Then they are allocated to the posts according to the vacancies. Qualification and other details are available below. Air Wing of NDS - Class 12th pass or 10+2 pattern of school or equivalent. Air Force & Naval Wings - Class 12th pass or 10+2 pattern of school with Physics, Maths or equivalent. All the details about the UPSC CMS exam 2015 such as eligibility criteria, pattern, age limit and other details are clearly available here. Candidates are advised to make use of it and the interested students are encouraged to apply for the exam before the last date of the application process. Qualification:- MBBS Degree (Pass in practical & written). Age Limit:- Below 32 Years on 1st Jan 2015. Candidates who are preparing for the UPSC IES Exam 2015 are informed that the authority board has published the notification about the Engineering Services Exam 2015. So the candidates who are interested to appear for the exam should apply for it before the last date of the end of the UPSC IES Application form 2015 through online mode. Qualification:- A Degree in Engineering or Equivalent and MSc degree or equivalent with Wireless Communications, Electronics, Radio Physics and Radio Engineering. Age Limit:- 21 to 30 Years on 1st Aug 2015. Every year the vacancies in our National Defense Academy has filled by our Union Public Service Commission (UPSC) recruitment board. Candidates who are going to attend the UPSC CDS Exam 2015 should see the qualification and Age Limit clearly before going to the apply for the Competitive Exam (CDS 1 & CDS 2). Naval Academy BSc with Physics, Maths or Engg or Equivalent. Air Force Academy B.Sc with Physics or Maths or Engg or Equivalent. Candidates who are waiting to apply for the UPSC IFS Exam 2015 can apply now because the Union Public Service Commission has released the notification about the Forest Services Examination 2015. Candidates should see the Educational Qualification, Eligibility Criteria & Age limit very clearly before going to apply for the UPSC IFS 2015 Exam. Qualification:- A Bachelor Degree with at least one of the subjects such as Animal Husbandry and Veterinary Science, Botany, Chemistry, Geology, Maths, Physics, Statistics and Zoology or a Bachelor’s degree in Agriculture or Forestry or Engineering of a recognized university. Union Public Service Commission has scheduled the exam date / schedule for the UPSC CAPF 2015 Exam. So the Candidates are encouraged to note down those important date and start the preparation for the UPSC Central Armed Police Force Exam 2015. Master's degree in Geology / Applied Geology or Marine Geology from a recognized university. Age Limit:- 21 to 32 Years on 1st Jan 2015.